2017 sees the start of a very new 4×4 self-drive adventure. 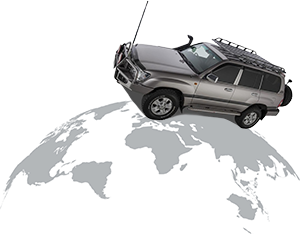 5 x Overland Journeys client vehicles will start from Bangkok Thailand on 3rd July. We have a short time in Thailand before crossing into Myanmar which is a brand new self-drive destination only recently opening its borders to foreign self – drive adventures. Reports so far received suggest that is it an amazing place to visit, incredible scenery and friendly people. Our journey takes us back to Thailand for just a few days before entering interesting Laos for a few days. China is our next destination countries for 18 days. 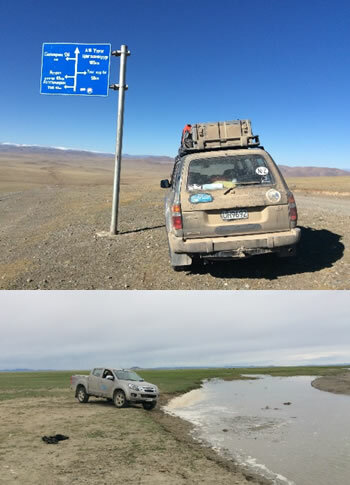 We have been working alongside our very capable Chinese agents to provide a road journey through this vast country that is different and unique taking in regions of china not often travelled through by regular overseas tourists. This will give us a chance to utilise the flexibility of a self-drive scenario to explore areas in China rich in customs and tradition. Our China section finishes at one of our traditional border crossings into southern Mongolia, a city called Erinhot in the middle of the baron inner Mongolia region of China. Our Traverse across Mongolia on this trip is also pioneering some parts of this vast and remote country not often visited tourists. The route we are using will take us into Russia’s Far East Region and through to Skovorodino located at the intersection of two major Russian highways the M58 and the M56. Our group will be turning left and heading directly 3177km north on the Road of Bones to our final destination, Magadan. We have left the driving biggest challenge on this expedition to the last 10 days. “Mongolia”, Vast, Interesting and challenging !! If you are interested in joining us on the London Vladivostok 20 day express across Europe, Russia and Siberia to Vladivostok as a passenger we have seats available. Hotel accommodation will be provided nightly and this unique chance to see this vast continent by road is a one off. Interested? Call us today !! The 54 day Bangkok to Magadan tour concludes in Vladivostok on the 27th August. Watch our reports and video footage and join us in 2019 for a repeat of this epic adventure. A big thanks to our enthusiastic clients who have twisted our arm to create the Bangkok to Magadan self-drive adventure.